There’s not a lot you can do to improve on a classic bacon, egg, and cheese breakfast sandwich on an English muffin. It’s pretty perfect, if you ask me – a savory, handheld meal in itself. My vacation breakfast go-to, for sure. Have you heard of English muffin toasting bread? It’s bread that you can slice and toast to reveal nooks and crannies just like an English muffin. I’ve been hearing about it for years, and I finally baked a loaf myself this weekend (following a straightforward recipe from King Arthur Flour). It’s fantastic! The coarse texture makes it perfect for toasting. And if a bread is great for toasting…you know it’s even better for grilling! The thing with regular English muffins is you only get one crumbly textured side – the inside of the muffin. The outside gets toasted too, but it’s flat and smooth and, well, a little boring. In sliced bread form, there’s no boring side. It’s all nooks and crannies as far as the eye can see (tongue can taste?). And so we have my new-and-improved Bacon, Egg and Cheddar English Muffin Panini – made even better with sliced English muffin toasting bread. You might be able to find this bread in some bakeries, but it really isn’t all that difficult to bake it yourself (trust me, I’m not a great bread baker and I managed not to mess this one up…too much. :-)). Of course, good old-fashioned English muffins work well on the panini press too – for the best results, I’d suggest choosing muffins that are on the thicker and denser side. One at a time, prepare the omelets. Melt about 1/2 teaspoon of butter in a small nonstick skillet over medium-low heat. Beat one egg really well in a small bowl, season it with salt and pepper and pour it into the skillet. Once the egg has set slightly, pull in the sides with a rubber spatula to allow the runny egg to flow to the pan. When the eggs are nearly set, carefully lift up one edge with the rubber spatula and fold it over in half. Transfer the omelet to a plate and cover it with foil to keep warm while you prepare the other three omelets in the same manner. For each sandwich: If you’re using English muffin toasting bread, spread butter on two slices to flavor the outside of the sandwich. Flip over one slice and layer on cheese, an omelet, two slices of bacon and more cheese (if you’re using traditional English muffins, apply the fillings inside the lower half of the muffin). Close the sandwich with the top English muffin half. Grill the panini, two at a time (or all four, if they will fit), until the cheese is melted and the bread or muffin is toasted, 4 to 5 minutes. What could be better? Oh my word! All my favorites! 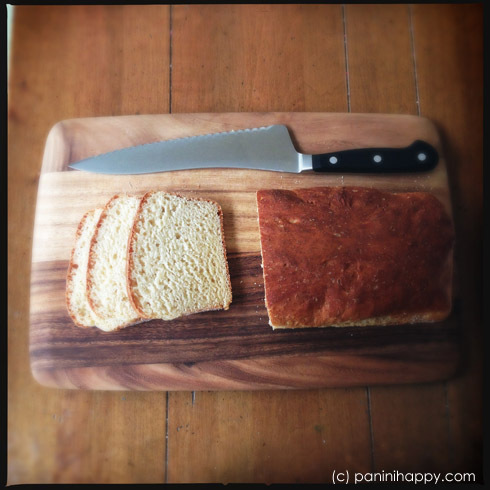 This bread looks incredible…I need to make time this week to make some. Love this sandwich! I could definitely go for one of those for breakfast! Yes I have made Englidh Muffin bread, it’s pretty amazing. 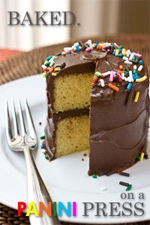 I have to try and make a gluten-free version! Niiiiice! 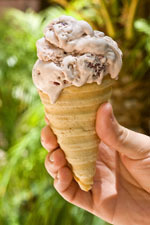 Wish I were munching this right now! Oh Kathy Kathy Kathy. This sandwich makes my heart ache. WANT. I wish I could bring you one, Amy!! I’ve had this bread on my to-bake list for so long… Time to get on it! Love this sandwich! Can’t go wrong with bacon, egg and cheese! I could probably eat 4 or 5 of those sandwiches (no exaggeration)! Bacon, eggs AND cheddar? Sign me up! Just an off question here. Do you ever have trouble with the non-stick topping coming off on your presses. My Breville is practically new, used about 20 times and the coating is coming off at one tiny spot- only plastic/silicone utensils ever used on it. Just wondering if they have a reputaion to do this? We will have to surely nurse this one to make it last. I got it two years ago and only pulled it out recently to use. Practically new but too far from the purchase date to take it back:-/ I got it for half price at the Williams Sonoma outlet and wonder if those grills are 2nd rate? Well we will put it through the wringer until it gets too bad! Looks great! Definitely need to try making that bread, and this sandwich! English muffing toasting bread?! That’s a first for me! Looks super tasty 🙂 I love making a similar sammich with sourdough. Perfect breakfast sandwich! Or dinner! I love the bread idea istead of English muffins. I have been using my panini press lately for breakfast sandwhiches, but I have a HERD to feed (5 boys and a hungry husband), so I have to keep it simpler. I crack about 8 eggs in a heated skillet and toss cooked bacon or sausage crumbles (which I keep pre-made in the freezer) over the top so that they will cook into the top of the egg, then I place it in the oven at about 450 for 5 minutes or so. In the meantime, I heat up my panini press. 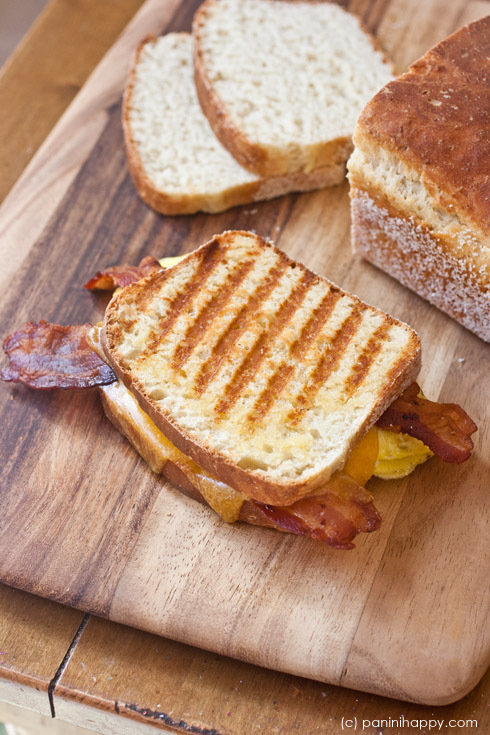 By the time it is hot, I pull out my skillet, cut the cooked bacon/egg into wedges and place each wedge on a half muffin with cheese in the panini press. I top with a little more cheese and another muffin and grill for 5 minutes. I can fit 9 muffin sandwhiches on my Breville, which will fill my family (as long as I make sure there is plenty of fruit and milk to go with it LOL), and it only takes about 10-15 minutes from start to finish and very little clean-up afterwards. I am going to try making the egg wedges the night before next time because mornings are so wild and busy around here. Can’t wait to try your flat iron steak recipe!! How thick did you cut your toasting bread for this recipe. Hi Jackie – I typically slice bread to 1/3-1/2″ thick. I have never heard of english muffin bread. I need to try this! This gives me all kinds of ideas, it looks delicious! That bread looks incredible. 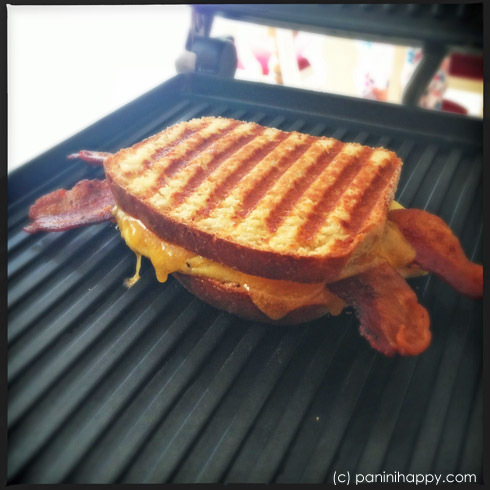 I love a good panini and you really can’t go wrong when using bacon! Terrific! How nice of you to make breakfast for your dad!